3. Playing the free games like Candy Crush, Pokemon GO etc.. 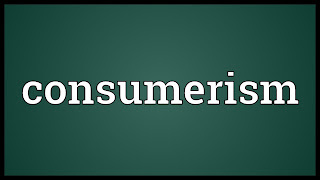 I am not here to promote consumerism or for that matter, minimalism (the opposite of consumerism), instead, I am of the view that it's just human nature for us to consume (may or may not be owned), either for pure survival, enjoyment or pure status conscious. The problem is NOT on consuming, the problem is on the ADDICTIVE consumption, just like anything in life, as long as there is imbalance, it creates problem. So, over spent our time (or life) in consuming (Outside In), we need to spend more time in contributing, producing and creating (Inside Out). Of course, it's easier said than done, try asking a smoker to quit smoking and you will know what I meant. Maybe it's time for me to try out the Pomodoro timer (productivity tool/app) that shared by the lecturer in on of the workshop I attended recently. Are you addicted to consuming? How do you deal with it?